This is our main service of the week when most people attend. This is usually a service of Holy Communion (a service of thanksgiving with the sharing of bread and wine) led by our priest. 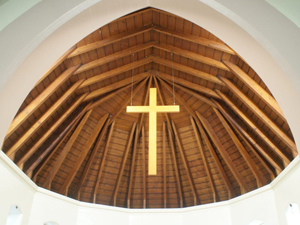 It is structured in a traditional way with prayers, Bible readings, preaching, Holy Communion and the singing of hymns. The service usually lasts about 1 hour and 15 minutes. 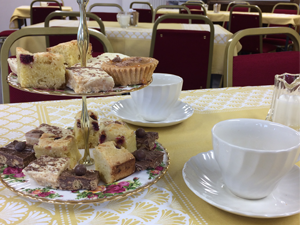 Coffee and tea is available at the back of the church following the service and is a great opportunity to have a chat. Occasionally we have a Service of the Word, which is a similar service but more informal and without Holy Communion. The type of Sunday services coming up are shown on the calendar. The town of Girvan is an important part of the mission and ministry of St Oswald’s and a monthly service of Holy Communion started in March 2017, led by the Rev Jim Geen. This is a short and informal service with prayers, Bible readings and Holy Communion, followed by refreshments. The midweek service is a service of Holy Communion in the church. It is a quieter and more reflective service than on a Sunday with a smaller group attending. This is followed by tea and coffee and usually a study group during term time. Check the calendar for details of when the study group meets.